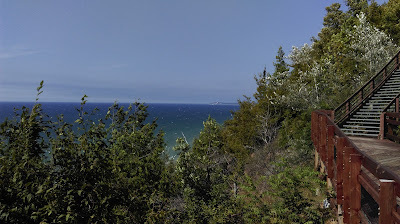 As we were driving along Crystal Lake, we saw a sign for the Point Betsie Lighthouse, and I quickly turned right to see one of Michigan's 129 lighthouses. The road to the lighthouse was short. 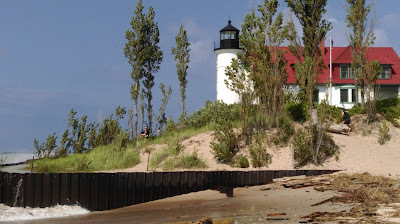 The lighthouse is small, but even the smallest lighthouse brightens a shoreline. 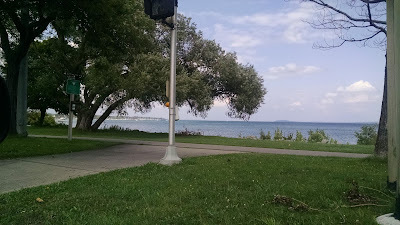 There were wind and wave advisories, plus the threat of tornadoes later that evening. The waves on Lake Michigan assaulted the beach, but Point Betsie Lighthouse stood firm. 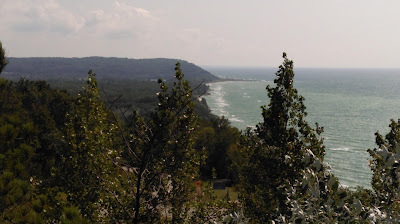 We continued south after Point Betsie before stopping in the small lakeside town of Frankfort. 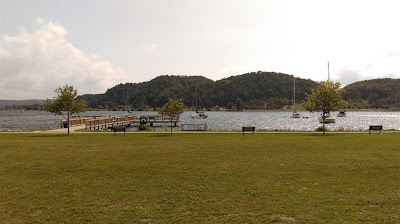 Frankfort has a small lake of its own, Betsie Lake, that is connected to Lake Michigan. 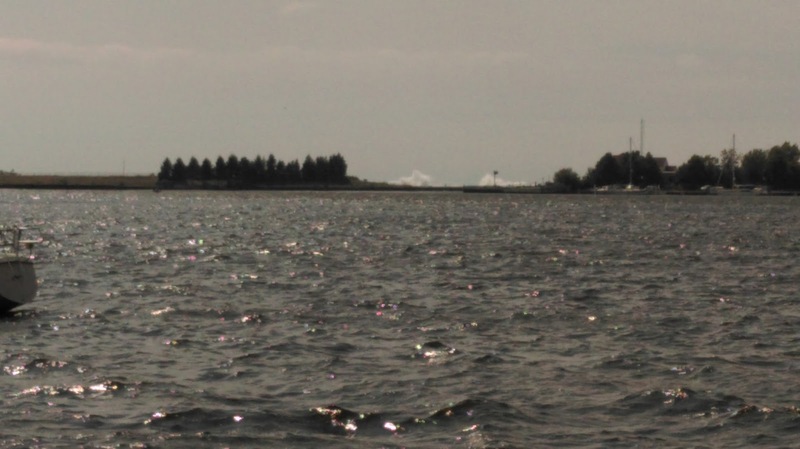 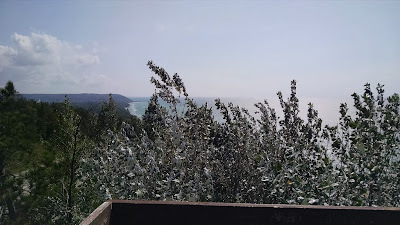 We stopped at a small park along Betsie Lake and watched the spray from waves in the distance crashing over what must have been a sea wall or rocks along Lake Michigan. 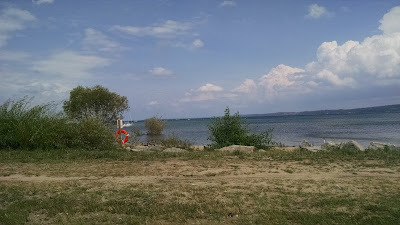 Frankfort seemed like a relaxing town that I could spend a whole summer in. Point Betsie, Crystal Lake, and Frankfort were beautiful, but the highlight of the drive was the scenic overlook at Arcadia. 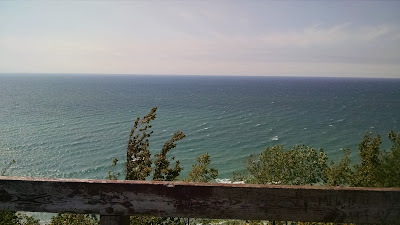 The climb up the steps to the highest point of the overlook felt daunting with the high winds coming off Lake Michigan, but the view was worth whatever imagined dangers raced through my mind. 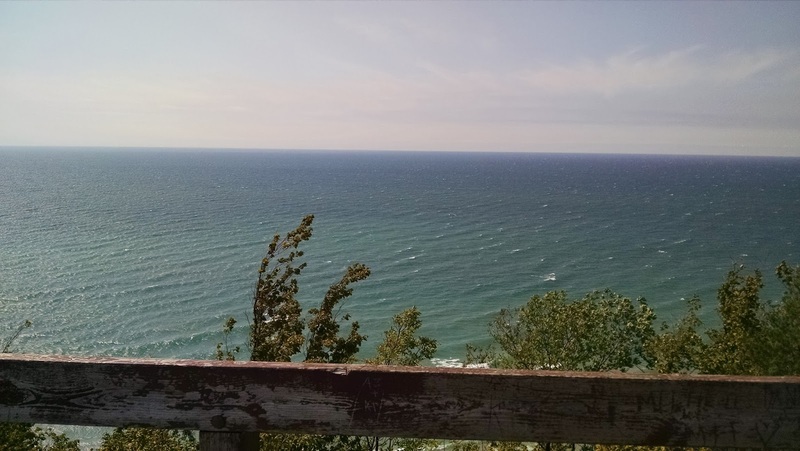 There isn't a word in our language that can capture the beauty of the view, the sense of appreciation I have for living in a state with such a marvelous coastline, or the the sense of serenity that I felt despite the high winds that threatened to push me off the observation deck onto M-22 below. 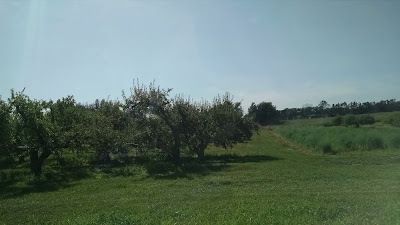 I had to leave, but I did not want to. I must go back. 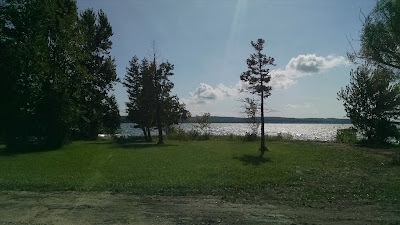 We drove south again until we reached the end of M-22. We thought of heading farther south along the coast towards Ludington, but we turned inland to avoid the predicted storms and to make it home before dark. 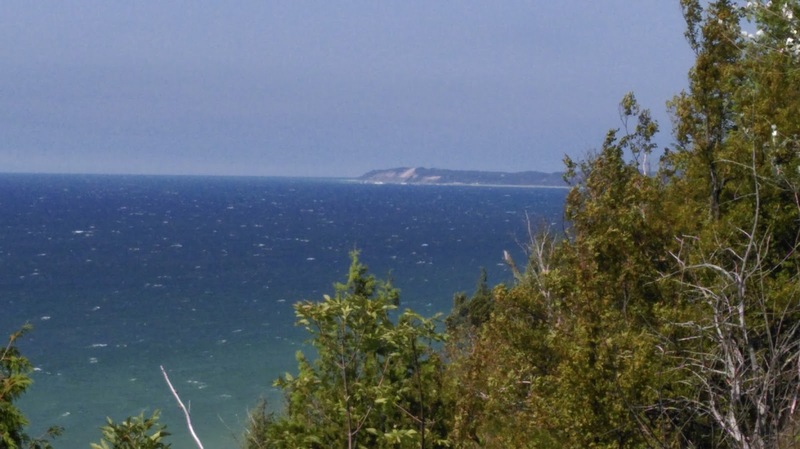 Luckily, the inland drive on M-55 brought us through the beautiful Manistee National Forest, which must be awash with color during the fall. We eventually made it out of the forest and to progressively larger towns until we reached I-75 and headed south to our home in Metro Detroit. 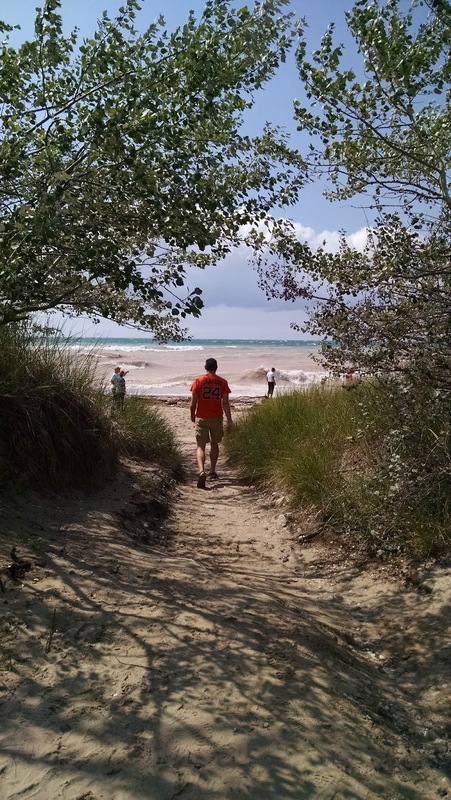 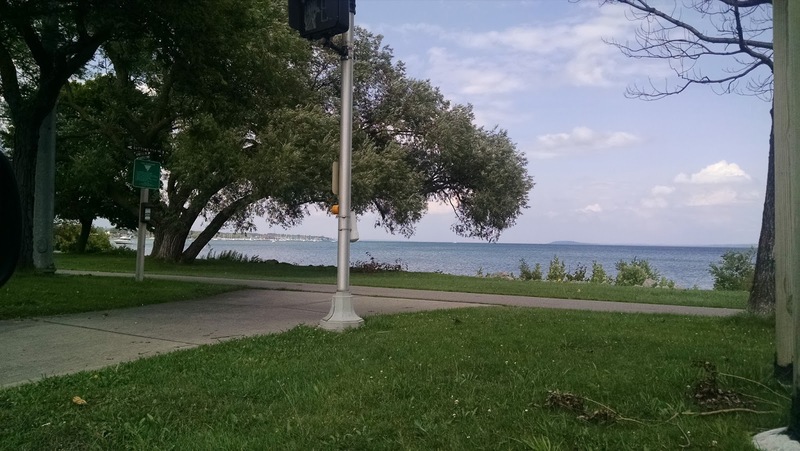 We are looking forward to more Northern Michigan adventures and to more scenic drives through the Great Lakes State. The scenic route might not be the quickest route, but sometimes the best way from point A to point B is the route that takes you along a scenic shoreline and through a national forest.